3M Scotch Magic Tape is a high quality, matte-finish, invisible tape. It appears frosty when rolled on but almost becomes invisible on paper. This tape will not yellow or dry out with age. 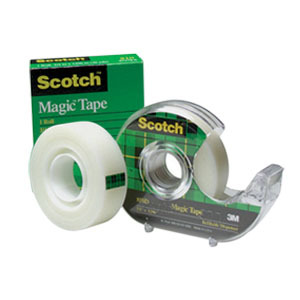 3M Scotch Magic Tape can be written or typed on and is great for the office, home or school.